Posted on July 21, 2016, in Mob Psycho 100, Releases. Bookmark the permalink. 6 Comments. Nice! It gets really interesting. I just think that Teru should’ve warned Mob before going on head-on attack on the divine tree. That’d simplify things a lot. Thanks! I kinda think Teru wouldn’t want to let Mob know every time he wants to head out or it’d mean he wasn’t enough to handle a situation on his own. Yeah. But this situation seems really serious and also connected to Kageyama-kun. 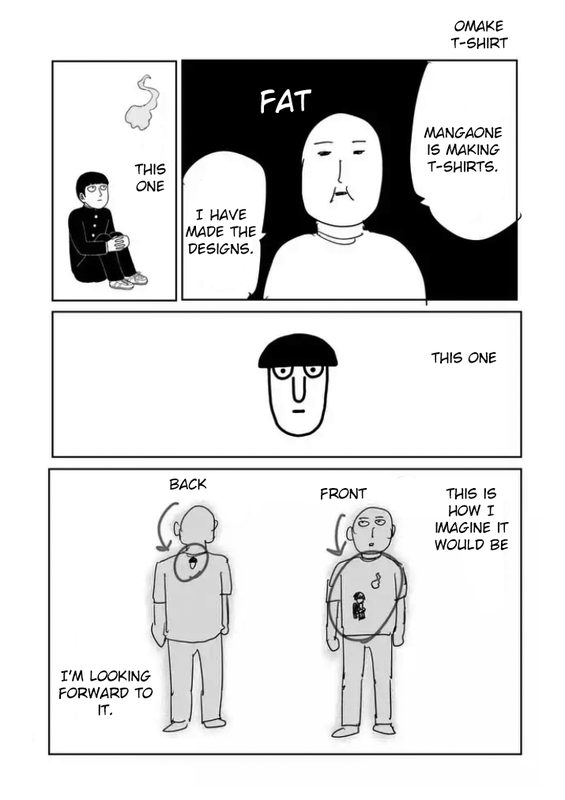 Btw, I want to ask about this page from chapter 93-2 http://i.imgur.com/8KBkBVE.png is the shirt actually still or will be available somewhere?